Price is for one pair of 5Um Silver Plated Tellurium Copper Banana Speaker Connectors. You will typically need 2 pair for each cable, or 4 pair for a set of stereo speaker cables. 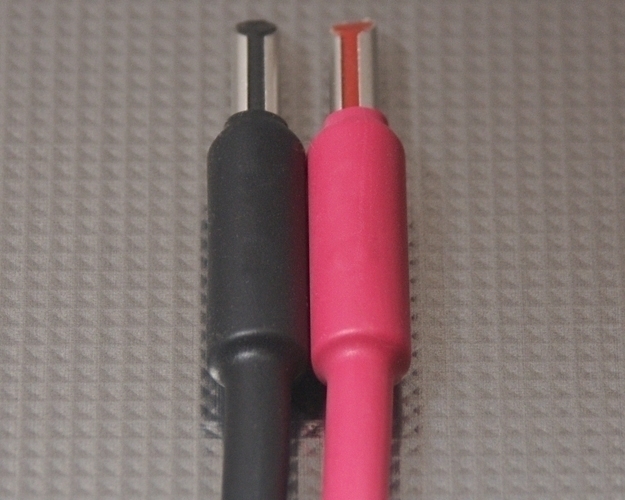 Bi-Wire cables require 3 pair per cable, or 6 pair per stereo set. Please enter the number of pair you require. 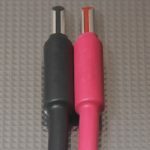 These are the Best Speaker Cable Banana Plug Connectors on the market today! Great for your Stereo Audio and Home Theater Systems. 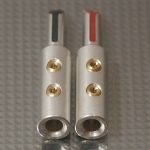 These Banana Connectors Machined from C14500 93% IACS Tellurium Copper, then Direct Pure Silver Plated, which gives them a conductivity rating of app. 105% for maximum signal transfer. 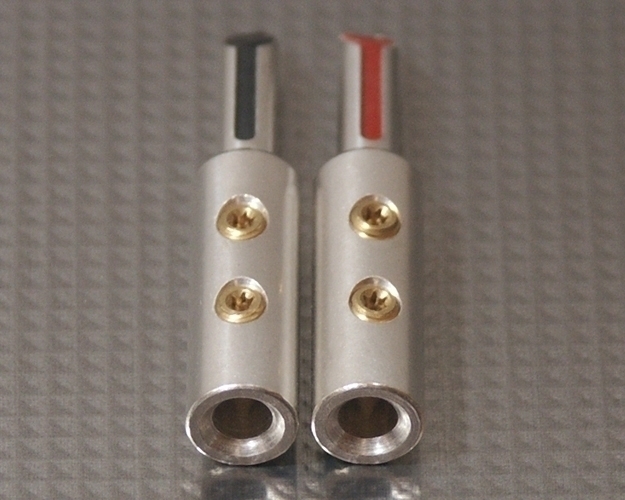 These Silver Plated Solid Copper Banana Connectors are also available in Non-Plated, and Pure Gold Plated versions. 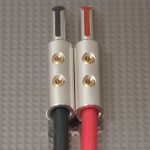 If you are looking for the best possible Banana Connectors for your speaker cables, these are it! 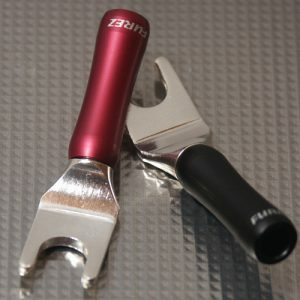 These are the best connectors money can buy, but at a very reasonable price. These are perfect for Stereo Audio and Home Theater Systems. 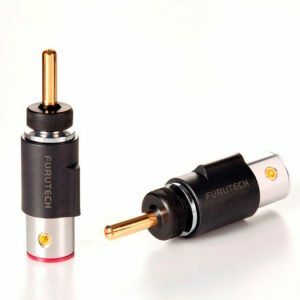 The Furez TST-SB40Ag series Tensioned Split Tube Banana Plug Speaker connectors provide optimized contact pressure with maximized contact area utilizing a patent pending design that truly uses high conductivity copper. 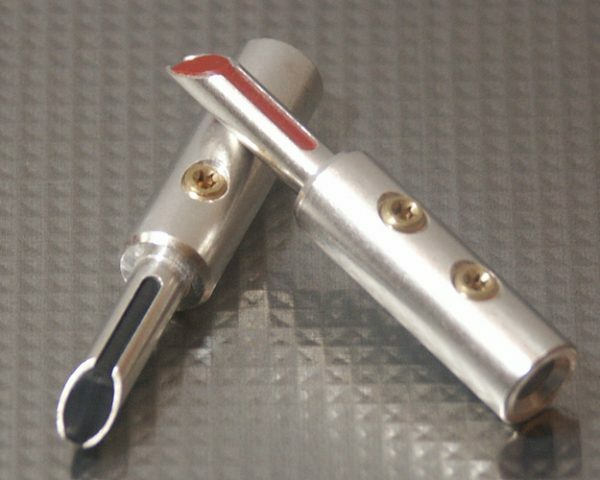 Traditional banana plug design relies on the inherent spring force of the copper alloy to provide the required contact pressure to make the banana plug connection. Unfortunately, the copper alloys that have sufficient inherent spring tension also suffer from poor conductivity. Materials like C36000 Brass, C54400 Phosphor Bronze, C17500 Beryllium Copper are the typically used copper alloys and all have low conductivity in the range of 19% to 40% IACS. 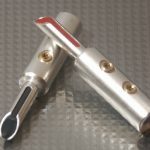 The simple and effective design approach of the Tensioned Split Tube (TST) Banana allows the connector to be constructed of C14500 Tellurium 93% IACS Copper. The Furez Tensioned Split Tube Banana (TST) is designed to provide optimized contact pressure by using a solid elastomeric tensioning element. This tensioning element provides the spring force required to enable the use of softer high conductivity copper. 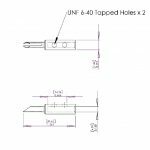 The user does have the ability to reduce or increase the contact pressure by removing and modifying the tensioning element. Cutting the tensioning element shorter will reduce contact pressure. 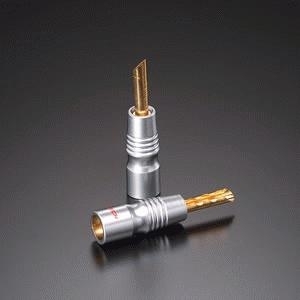 The TST-SB40 banana speaker cable plug connector is designed with a deep barrel and forward positioned set screws so the insulation of the cable can remain inside the barrel of the connector thus alleviating the issue of exposed bare wire strands. 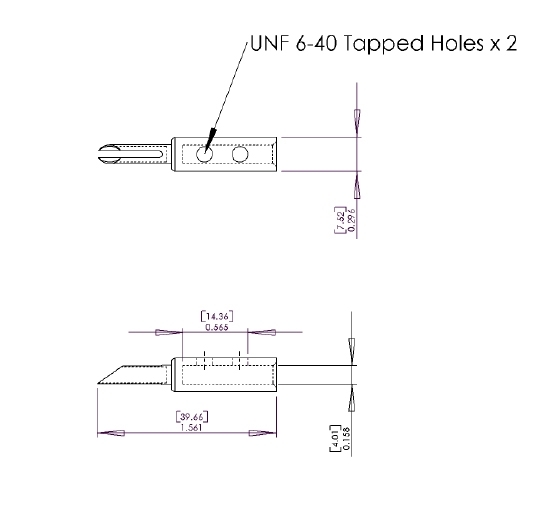 Dual T6 Torx set screws provide very secure attachment of speaker cable and each banana connector comes with 2 set screw sizes to ensure proper fit for various speaker cable sizes. 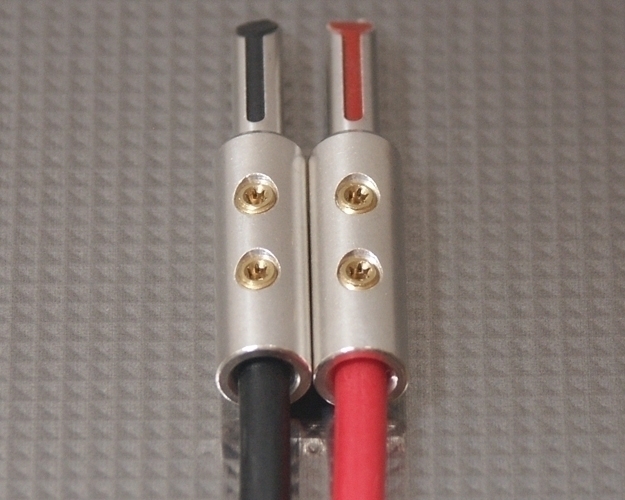 The TST-SB40 series banana speaker cable plug connectors are offered without plating (app. 93% IACS), with direct gold plating (app. 76% IACS) or with direct silver plating (app. 105% IACS) to suit a variety of installation requirements. Nickel (app. 24%IACS), Rhodium (app. 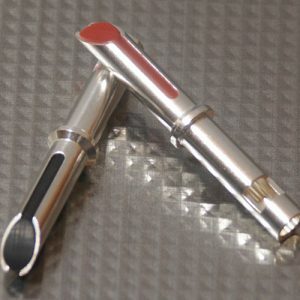 39% IACS) and Platinum (16% IACS) are not used in our plating schemes because these low conductivity metals only take away from the electrical performance of the connector while adding cost. Hard metals like rhodium really are only advantageous in connectors that require extreme resistance to abrasion from extensive repeated rubbing which is not typically associated with AV connections. IACS (International Annealed Copper Standard) is the standard by which conductivity of copper alloys and metals are compared.